ChasingTreasure.com Jewelry Boxes Blog: Spring Has Sprung with a New Jewelry Fashion Season! Spring Has Sprung with a New Jewelry Fashion Season! Spring has finally sprung, and of course, with a new calendar season comes a new fashion season. New York Fashion Week and other high-profile fashion shows around the world showcased the trends to look for this season. According to Harper's Bazaar, jewellery trends for Spring 2014 will certainly scintillate in the sunlight. Gold has made a big comeback (a fact on display at this year's Oscars Red Carpet). Over-sized chains, particularly as part of statement necklaces, are very popular. Linking in with this trend are locks and keys. Other than heavy metal, primary colors are making a bold statement on the runway and in street style. Bright-colored chunky bangles are particularly in style, in pure red, yellow, blue, and green. Their lines are clean and the looks are decidedly modern -- even avant-garde. Of course, perhaps unsurprisingly, gems in every color of the spectrum are big this Spring. Glittery jewel-toned rings, bracelets, earrings, and necklaces -- from understated to large statement pieces -- made themselves the center of attention for much of this season's fashions. 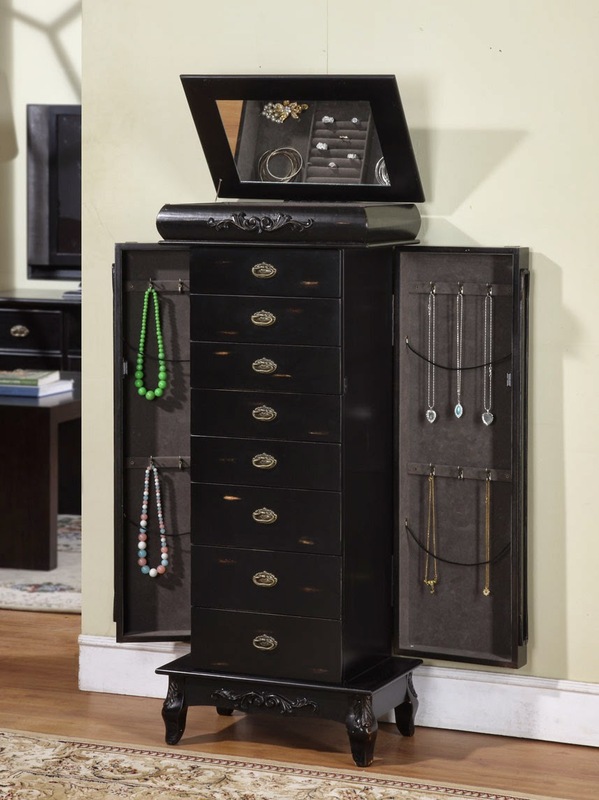 If you're thinking of adding some of these on-trend pieces to your collection, consider investing in a jewelry storage system from ChasingTreasure. Jewelry boxes and chests in a variety of styles, suitable for any decor scheme, make organizing even the largest collection of fashionable accessories a Spring breeze, even for the largest and most diverse of jewelry collections. Jewelry Amoire for All Shapes & Sizes of Jewelry Collections!